The plug-in fast and easily extracts opaque and semitransparent objects from a complex background of a digital image while preserving such details, as flying hair or blurred edge. Save your time and money with ImageSkill! It allows a user to get a dramatically improved look of images by perceived sharpness enhancement without increasing color halos and noise. Result our latest poll "Why do you add special effects onto your photo?" and new poll. 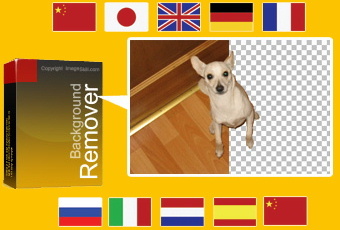 ImageSkill announces version 3.2 of	Background Remover with an improved feature and multi-lingual interface. Copyright © 2006-2007 ImageSkill. All rights reserved.